Manage your infrastructure & streamline data capture for inspections and maintenance. Lightship provides a unified asset management platform designed specifically for the needs of local government. 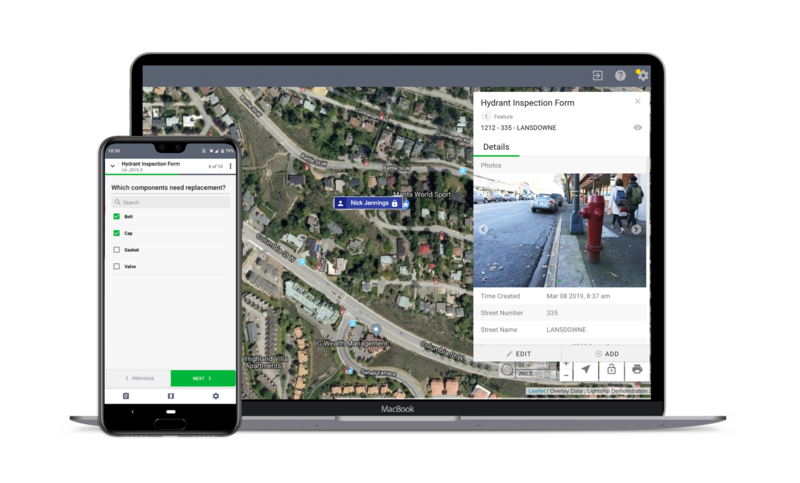 Visualize all of your GIS data, build custom forms to capture inspections and maintenance data in the field, and instantly generate summaries to inform planning and budget processes. "We use Lightship to inspect all of our assets in town. We were using pen and paper for everything, but Lightship has made things quicker and more efficient. It's a night and day difference." ﻿Why use Lightship for infrastructure management? Intelligent form fields eliminate error-prone paper processes and ensure consistent, accurate data every time. 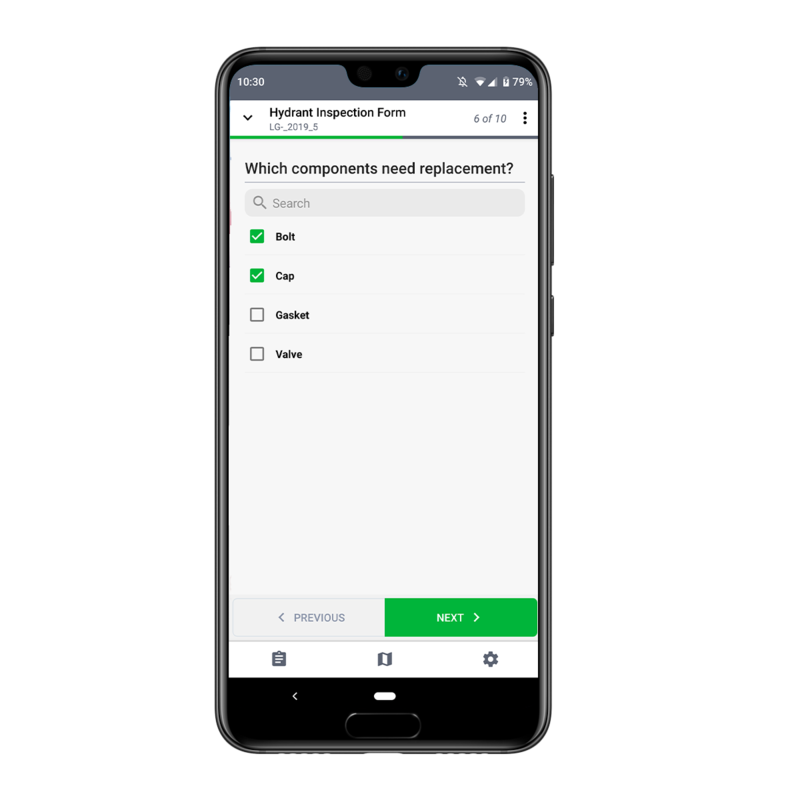 Lightship’s digital forms are fully customizable, enabling you to design data capture forms for virtually any use case across any of your departments. 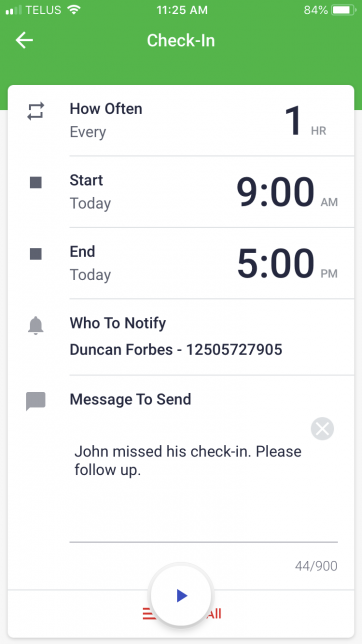 Flexible check-ins, real-time communication, and alarms (eg missed check-in, personal distress, fire) with custom response and notification procedures. Create custom digital forms for asset inspections. 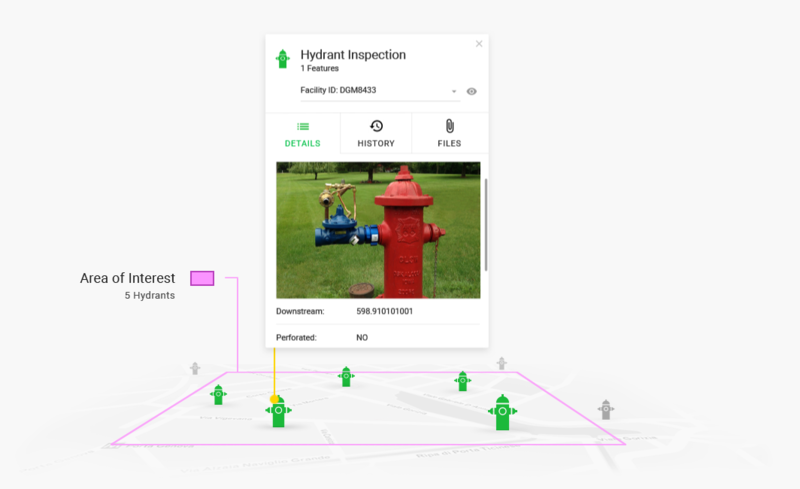 Leave paper behind and use digital forms to complete in-field inspections and maintenance on your assets and infrastructure. Attach photos and video along with detailed inspection data to create a comprehensive record of asset condition and completed repairs. Easy-to-use forms give field crews the ability to quickly collect structured data (incident reports, environmental impact assessments, etc.) including photos and video, from any iOS or Android device. Data submitted in the field is instantly available for others within the organization. Lightship maintains a complete history of inspections and repairs for all of your assets. With the click of a button, you can view information about past inspections, equipment readings, and completed maintenance. The ability to analyze trends in the data makes it easy to spot problems & anticipate costly asset failures before they occur. Get real-time updates containing text, photos, and other media. See the location of employees, equipment, and deployed assets in an easy-to-use dashboard view. Integrate with existing systems such as GIS and fleet management to have live access to the best-available information. Employees can choose to share their real-time location, making them visible on Lightship’s map-based interface. Pre-set end times can be configured by each worker to automatically end location sharing at the end of their shift. View the status of your team. Employees are able to set a custom or preset status detailing the task that they are working on. Managers can search for and quickly identify individuals or groups of employees based on their real-time status. Generate tasks based on a schedule, or automatically when problems are identified during inspection or maintenance work. Get updates on progress by ‘following’ tasks or joining the task-specific conversation channel. Trigger custom alarms instantly from the field. Field staff can initiate alarms (personal distress, fire, etc.) directly from their mobile device. Automated processes, configured for each type of alarm, will instantly notify appropriate administrators and initiate response. Stop monitoring safety check-ins manually. Allow your field staff to manage their check-in schedules with options for specified intervals and preset start and end times. If a check-in is missed, specific managers or groups will be notified immediately. Lightship scales with your needs. Lightship brings everything together into a map-based dashboard view, giving ultimate visibility of daily operations. Real-time employee locations are overlaid onto a map containing relevant inspections & maintenance data and any important infrastructure information (from an existing GIS or solely within Lightship). Lightship gives you the ability to manage multiple environmental projects simultaneously in an intuitive, easy-to-use application. Customizable permission settings enable you to share information with clients, contractors, and other stakeholders with ease, ensuring that everyone sees only the information that is relevant to them. View real-time progress as field crews complete their assigned tasks throughout the day. Customized styling can auto-update on the map to accurately reflect the current status of inspections or maintenance. 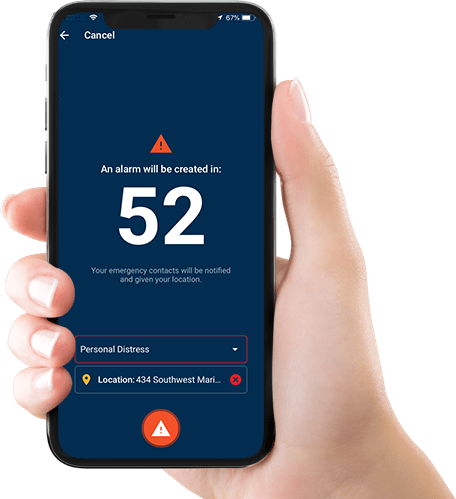 When an issue arises in the field, managers are instantly notified and can view details of the alarm directly on the map. Skill and location based search makes it easy to find and dispatch the most appropriate person to respond to the situation at hand. Lightship lets you easily generate infrastructure condition reports to help inform planning and budget processes for multiple departments across your organization. Flexible, intuitive, and tailored for you. Our implementation teams work with you to complete all training and setup in as little as one week. We work with you to identify use cases where we can create value quickly with minimal operational disruption. There's no need for expensive, dedicated hardware. Lightship works on any modern iOS or Android device. Ready to see Lightship in action? Let us show you how Lightship can streamline your asset management, enhance safety procedures, and enable better communication with your teams in the field. © 2018 LIGHTSHIP WORKS INC.